Craig’s Birthday Celebration With Hog Roast Sutton Coldfield! Usually Craig doesn’t do much for his birthdays, however, this November he was turning fifty and his wife, Sue, was forcing him to have a big party to celebrate. Craig isn’t really the party type and did not want loud music and crowds of people. Therefore, his wife decided to order lots of speciality ales to be delivered so he could enjoy a relaxing afternoon with his close friends and family with a small garden party. Sue also settled on Hog Roast Sutton Coldfield to cater for Craig’s guests as neither of them were very skilled in the kitchen and did not want the stress of cooking. Craig’s guests arrived and were greeted with glasses of speciality ales to try and test. Meanwhile, the Hog Roast Sutton Coldfield team set up in the garden and began the cook the buffet for the party. The party turned out to be a great idea on Sue’s part as their family and friends enjoyed the ales and mingled nicely with each other. 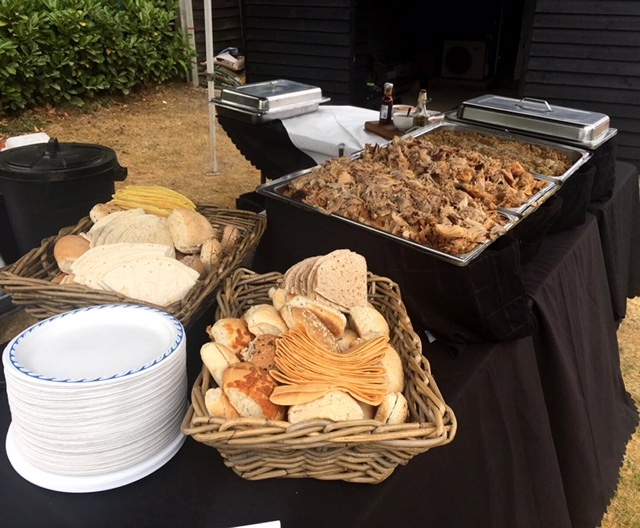 To complement this, the Hog Roast Sutton Coldfield team provided a fantastic selection of freshly roasted meats served on bread rolls and with a range of sides. The guests thoroughly enjoyed the range of flavours cooked up by the Hog Roasting team and many of the guests returned for second and third helpings. The Hog Roast provided a brilliant atmosphere and team blended in as easily as another guest. Craig’s 50th birthday party was a brilliant success as the guests thoroughly enjoyed the buffet and the Hog Roast team provided something for everyone. In addition, the team were still able to provide a huge selection of food to suit everyone’s tastes, despite the fact that Craig’s party was a slightly smaller event, yet there was still plenty to go around. 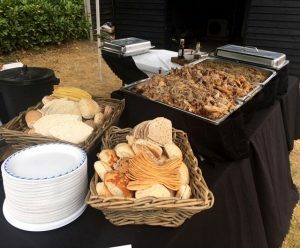 The great thing about the Hog Roast Sutton Coldfield team is that they can cater for large events and still provide a friendly, fast service, yet at smaller events, they can still offer a huge variety of foods. A Hog Roast would be a brilliant way to spice up any regular event no matter the size of the guests’ list or the occasion they’re attending.